In potentially causing a lot of problems in the human body, stress is considered a silent killer by many. While there are plenty of ways to find stress relief, one of the best has finally opened in Egypt. Gone are the days of you screaming into your pillow or punching the wall because of some breakup, annoying boss, or even anything related to the traffic in Cairo. 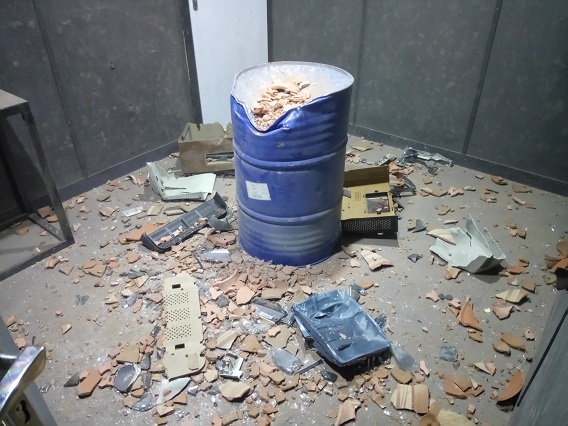 Inspired by Rage Room in Canada, Mazen and Ahmed Nassrat have brought the much needed concept all the way to our beloved capital. 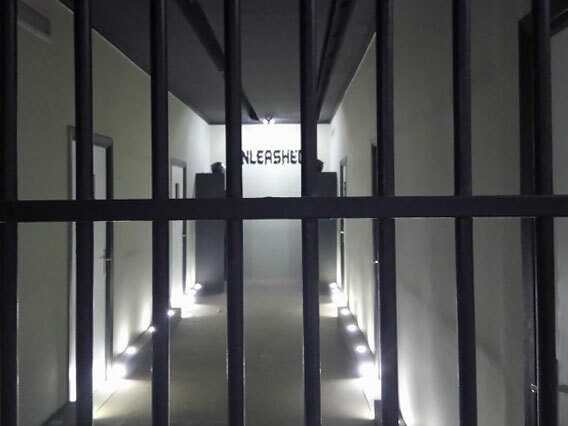 Unleashed offers the opportunity to unleash your rage and anger in a safe and controlled environment, through different flexible packages. Open to pretty much anybody who wants to vent, packages range from 150LE for six destructible objects, to 400LE for sixteen with the option of adding even more. You can even bring your own items if you want to personalise your experience. 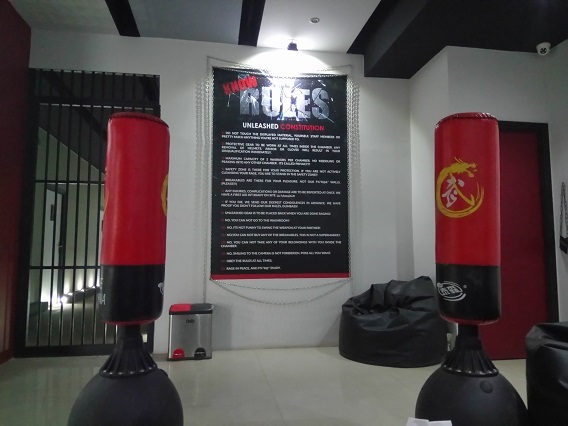 Making our way to the second floor at New Cairo’s Concorde Plaza, Unleashed offers a chilled out lobby with a huge – and funny – rule wall, as well as two punching bags if you want to get your blood pumping. After being briefed on safety instructions and the rules, we made our way down the hall to the gear area where we got helmets, body armour and gloves with more instructions on how best to destroy the items. We opted for the 400LE Chuck Norris package which gives you sixteen times to destroy and the honour ofa video of your carnage being uploaded to the Unleashed YouTube page. After being led to our room, we were asked which song we’d like to have as our soundtrack to our rage and left to vent. The room includes a ‘safe zone’ where the metal barrel on which you’ll put your destructible items, as well as two tables; one with an assortment of weapons including a baseball bat, crowbar, metal pipe, and a monkey wrench, and the other with your victims – ranging from glass bottles and pottery, to a TV screen and a computer monitor. The maximum number of people you can have in a room at one time is two, or you can go for the ‘solo cleanse’ option. One by one, we put our items on the metal barrel, and one by one we started hammering down with the weapons, turning them into pieces of their former selves. 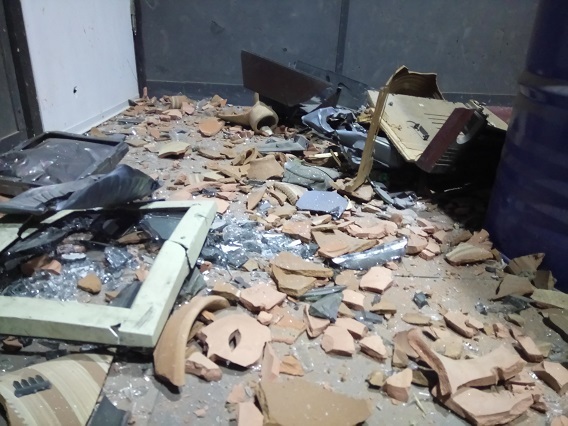 The bottles became shards of broken glass, the pottery a heap of red dust and the television a broken shell without any internals – it was only the monitor’s plastic frame that managed to escape our wrath. After finishing in approximately thirty minutes, we waved to the camera and we escorted back to the gear area, where we returned our equipment and took our belongings from the lockers. 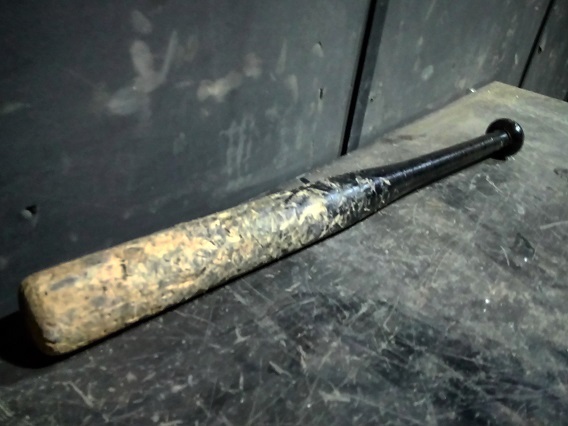 It was truly a liberating experience, focusing our anger to a specific item and its destruction lifted its metaphorical weight from our shoulders giving us room to breathe. After we finished, we were given a code with which we’d be able to watch our exploits on Unleashed’s YouTube channel, as well as mugshots which are taken and uploaded to their Facebook page every Thursday. Unleashed provides a well-needed way to release our frustrations and stress, by replacing our rage with fun, destructive activity. With welcoming staff and more ideas and concept set to released soon, we can’t wait to see what they have in store next. Customisable packages packages for as low as 100LE. AAAAAAAAHHHH - oh, my time's up?